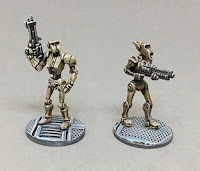 Alternative Armies: Psi Paladin sci-fi 28mm miniatures by Ganesha Games released! 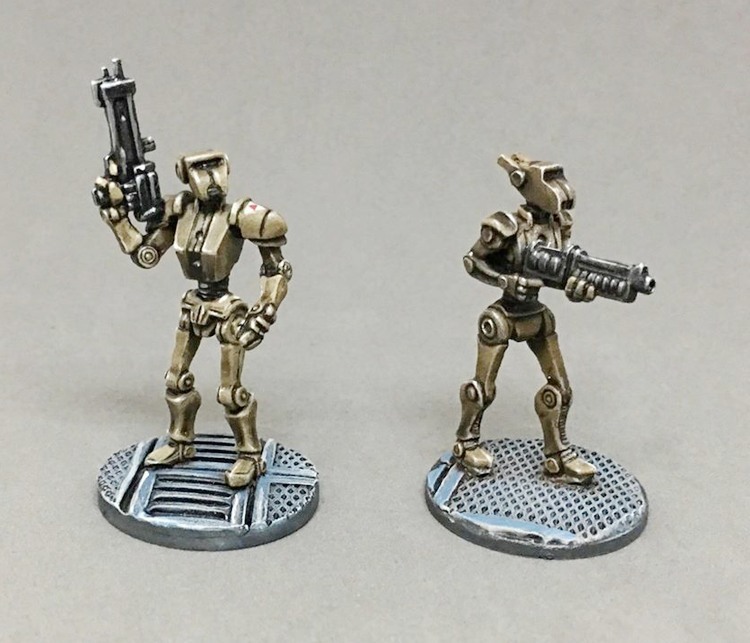 Psi Paladin sci-fi 28mm miniatures by Ganesha Games released! 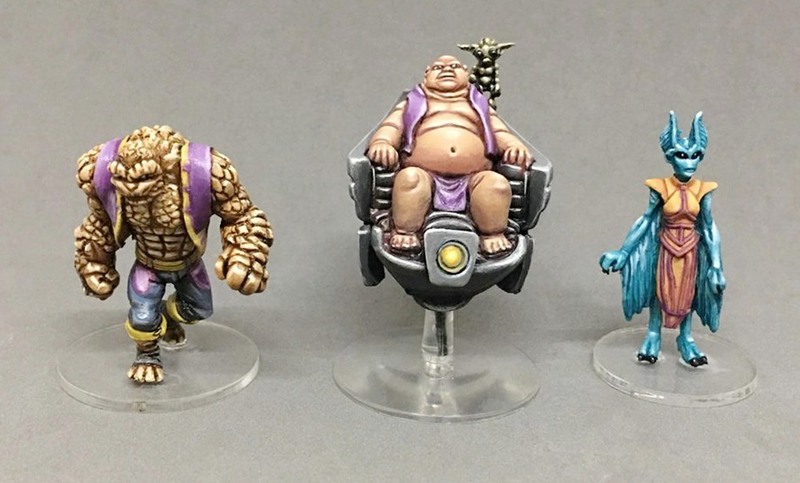 With the Kickstarter completed and the pledges sent out world wide to backers it is time for the rest of humanity (and any aliens who wish to) to get their chance to possess the lovely miniatures from this expansion to Mutants and Death Ray Guns. Psi Paladin 28mm white metal and resin miniatures in four packs (with single pose within pack options) on the Ganesha Games science fiction range page at Alternative Armies. Read on for more information or go HERE. Also this weekend we are putting a free Combot worth 2.00GBP into any order which contains one or more codes from either Ganesha Games range pages on the website. Just order and we will do the rest. Finely detailed miniatures in 28mm scale which are suitable for use in any science fiction setting or system such as Mutants and Death Ray Guns or Rogue Stars and so on. Warrior Space Knights, Aliens, Overlord and Robots which can grace your gaming table and collection. Manufactured by agreement here in Scotland. A pack of four different white metal miniatures in 28mm scale. Science Fiction warriors suitable for any system. Choose from a pack or, referring to the numbered image, choose from the options a single miniature from the pack in any quantity. 12.00GBP per pack. A pack of three different white metal miniatures in 28mm scale. Science Fiction warriors suitable for any system. Choose from a pack or, referring to the numbered image, choose from the options a single miniature from the pack in any quantity. A war witch, a hero and a lion kind large warrior. 11.00GBP a pack. A pack of three different white metal and resin miniatures in 28mm scale. 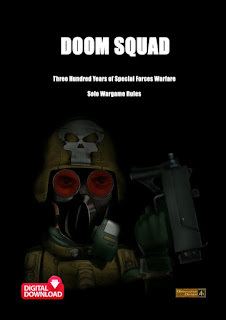 Science Fiction warriors suitable for any system. Choose from a pack or, referring to the numbered image, choose from the options a single miniature from the pack in any quantity. Graul Granite (two pieces), Lord Phalag (resin with white metal familiar and chair parts), Skarra an alien. 15.00GBP a pack. A pack of four, in two different poses, white metal miniatures in 28mm scale. Science Fiction robots suitable for any system. Choose from a pack or, referring to the numbered image, choose from the options a single miniature from the pack in any quantity. Two different combat robots. 10.00GBP a pack.